$20 says even their parents still drive Volvos. Earlier this year Volvo revealed its new S60 Cross Country. 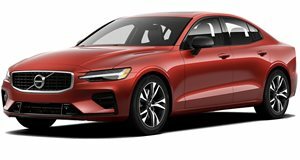 It’s really nothing more than a lifted S60 sedan with all-wheel drive, but Volvo is curious these days about exploring potential new niches. During a recent sit down with Car and Driver, Volvo’s new head of North American operations, Lex Kerssemakers, admitted that "the Cross Country is a concept we introduced in 1997, and is a step forward. Traditionally, the concept always applied to SUVs or to wagons. We have said now that we are going to apply it to a sedan. And we are the first." Well, kind of. There was the 2000-2004 Subaru Legacy Outback sedan and, of course, the AMC Eagle sedan from the 1980s. Neither of those two looked nearly as good as the new S60 CC, but will it arrive in the US? Despite seeing greater potential for it in markets such as Russia and India where roads often lack pavement, Volvo is planning to import 500 units to the US as a test. Just two colors will be offered: Austrian Gray (shown here) and either black or white. No other options will be available. If all units sell fast with enthusiasm and a certain buzz is created, then the possibility for more S60 CCs is possible. So could Volvo end up creating a new segment: the jacked-up sedan? It’s certainly hoping so.